Walter Matthau (/ˈmæθaʊ/; born Walter John Matthow; October 1, 1920 – July 1, 2000) was an American actor and comedian, best known for his film roles, including as Oscar Madison in The Odd Couple, based on the play of the same title by playwright Neil Simon, in which he also appeared on broadway theatre, and notably, opposite Audrey Hepburn in Charade. He also appeared in the less successful Odd Couple film sequel some 30 years later, The Odd Couple II. Matthau was known for his frequent collaborations with Odd Couple co-star Jack Lemmon, particularly in the 1990s with Grumpy Old Men and its sequel Grumpier Old Men. He won the Academy Award for Best Supporting Actor for his performance in the 1966 Billy Wilder film The Fortune Cookie. Besides the Oscar, he was the winner of BAFTA, Golden Globe and Tony awards. Matthau was born Walter John Matthow on October 1, 1920, in New York City's Lower East Side. His mother, Rose (née Berolsky), was a Lithuanian-Jewish immigrant who worked in a garment sweatshop, and his father, Milton Matthow, was a Ukrainian-Jewish peddler and electrician, from Kiev, Ukraine. 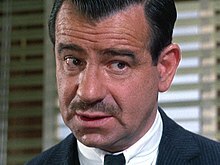 As part of a lifelong love of practical jokes, Matthau created the rumors that his middle name was Foghorn and his last name was originally Matuschanskayasky (under which he is credited for a cameo role in the film Earthquake). As a young boy, Matthau attended a Jewish non-profit sleepaway camp, Tranquillity Camp, where he first began acting in the shows the camp would stage on Saturday nights. He also attended Surprise Lake Camp. His high school was Seward Park High School. He worked for a short time as a concession stand cashier in the Yiddish Theatre District. During World War II, Matthau saw active service as a radioman-gunner in the U.S. Army Air Forces with the Eighth Air Force in Great Britain, crewing a Consolidated B-24 Liberator bomber. He was with the same 453rd Bombardment Group as James Stewart. While based in England at RAF Old Buckenham, in Norfolk he flew missions across to continental Europe during the Battle of the Bulge. He ended the war with the rank of Staff Sergeant, and returned home to America for demobilization at the war's end intent on pursuing a career as an actor. Matthau was trained in acting at the Dramatic Workshop of The New School with German director Erwin Piscator. He often joked that his best early review came in a play where he posed as a derelict. One reviewer said, "The others just looked like actors in make-up, Walter Matthau really looks like a skid row bum!" Matthau was a respected stage actor for years in such fare as Will Success Spoil Rock Hunter? and A Shot in the Dark. He won the 1962 Tony Award for Best Featured Actor in a play. Matthau appeared in the pilot of Mister Peepers (1952) with Wally Cox. For reasons unknown he used the name Leonard Elliot. His role was of the gym teacher Mr. Wall. He made his motion picture debut as a whip-wielding bad guy in The Kentuckian (1955) opposite Burt Lancaster. He played a villain in King Creole (1958), in which he gets beaten up by Elvis Presley. Around the same time, he made Ride a Crooked Trail with Audie Murphy, and Onionhead (both 1958) starring Andy Griffith; the latter was a flop. Matthau had a featured role opposite Griffith in the well received drama A Face in the Crowd (1957), directed by Elia Kazan. Matthau also directed a low-budget movie called The Gangster Story (1960) and was a sympathetic sheriff in Lonely Are the Brave (1962), which starred Kirk Douglas. He appeared opposite Audrey Hepburn in Charade (1963). Appearances on television were common too, including two on Naked City, as well as an episode of The Eleventh Hour ("A Tumble from a Tall White House", 1963). He appeared eight times between 1962 and 1964 on The DuPont Show of the Week and as Franklin Gaer in an episode of Dr. Kildare ("Man Is a Rock", 1964). Additionally he featured in the syndicated crime drama Tallahassee 7000, as a Florida-based state police investigator (1961–62). Comedies were rare in Matthau's work at that time. He was cast in a number of stark dramas, such as Fail Safe (1964), in which he portrayed Pentagon adviser Dr. Groeteschele, who urges an all-out nuclear attack on the Soviet Union in response to an accidental transmission of an attack signal to U.S. Air Force bombers. Neil Simon cast him in the play The Odd Couple in 1965, with Matthau playing slovenly sportswriter Oscar Madison, opposite Art Carney as Felix Ungar. Matthau later reprised the role in the film version, with Jack Lemmon as Felix Ungar. He played detective Ted Casselle in the Hitchcockian thriller Mirage (1965), directed by Edward Dmytryk. He achieved great success in the comedy film, The Fortune Cookie (1966), as a shyster lawyer, William H. "Whiplash Willie" Gingrich, starring opposite Lemmon, and the first of many collaborations with Billy Wilder, and a role that would earn him an Oscar for Best Supporting Actor. Filming had to be placed on a five-month hiatus after Matthau had a serious heart attack. He gave up his three pack a day smoking habit as a result. Matthau appeared during the Oscar telecast shortly after having been injured in a bicycle accident; nonetheless, he scolded actors who had not attended the ceremony, especially the other major award winners that night: Paul Scofield, Elizabeth Taylor and Sandy Dennis. Oscar nominations would come Matthau's way again for Kotch (1971), directed by Lemmon, and The Sunshine Boys (1975), another adaptation of a Neil Simon stage play, this time about a pair of former vaudeville stars. For the latter role he won a Golden Globe award for Best Actor in a Musical or Comedy. Broadway hits turned into films continued to cast Matthau in lead roles in Hello, Dolly! and Cactus Flower (both 1969); for the latter film, Goldie Hawn received an Oscar for Best Supporting Actress. Matthau played three roles in the film version of Simon's Plaza Suite (1971) and was in the cast of its followup California Suite (1978). Matthau starred in three crime dramas in the mid-1970s, as a detective investigating a mass murder on a bus in The Laughing Policeman (1973), as a bank robber on the run from the Mafia and the law in Charley Varrick (also 1973) and as a New York transit cop in the action-adventure The Taking of Pelham One Two Three (1974). A change of pace about misfits on a Little League baseball team turned-out to be a solid hit when Matthau starred as coach Morris Buttermaker in the comedy The Bad News Bears (1976). Matthau portrayed Herbert Tucker in I Ought to Be in Pictures (1982), with Ann-Margret and Dinah Manoff. During the 1980s and 1990s Matthau served on the advisory board of the National Student Film Institute. In a change of pace, Matthau played Albert Einstein in the film I.Q. (1994), starring Tim Robbins and Meg Ryan. Matthau narrated the Doctor Seuss Video Classics: How the Grinch Stole Christmas! (1992) and played the role of Mr. Wilson in the film Dennis the Menace (1993). His partnership with Jack Lemmon became one of the most successful pairings in Hollywood. They became lifelong friends after making The Fortune Cookie and would make a total of 10 movies together—11 counting Kotch, in which Lemmon has a cameo as a sleeping bus passenger. Apart from their many comedies, the two appeared (although they did not share any scenes) in the Oliver Stone drama, JFK (1991). Matthau and Lemmon reunited for the comedy Grumpy Old Men (1993), co-starring Ann-Margret, and its sequel, Grumpier Old Men (1995), also co-starring Sophia Loren. This led to further pairings late in their careers, Out to Sea (1997) and a Simon-scripted sequel to their much earlier success, The Odd Couple II (1998). Hanging Up (2000), directed by Diane Keaton, was Matthau's final appearance onscreen. Matthau was married twice; first to Grace Geraldine Johnson from 1948 to 1958, and then to Carol Marcus from 1959 until he died in 2000. He had two children, Jenny and David, by his first wife, and a son, Charlie Matthau, with his second wife. David is a radio news reporter, currently at WKXW "New Jersey 101.5" in Trenton, New Jersey. Jenny is president of the Natural Gourmet Institute in New York City. 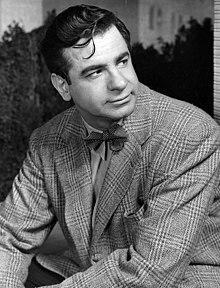 Matthau also helped raise his stepchildren, Aram Saroyan and Lucy Saroyan. His grandchildren include William Matthau, an engineer, and Emily Rose Roman, a student at Binghamton University. Charlie Matthau directed his father in The Grass Harp (1995). A heavy smoker, Matthau had a heart attack in 1966, the first of at least three in his lifetime. In 1976, ten years after his first heart attack, he underwent heart bypass surgery. After working in freezing Minnesota weather for Grumpy Old Men (1993), he was hospitalized for double pneumonia. In December 1995 he had a colon tumor removed; He was also hospitalized in May 1999 for more than two months, owing again to pneumonia. In addition to colon cancer, Matthau had atherosclerotic heart disease during the last years of his life. In the late evening of June 30, 2000, he had a heart attack at his home and was taken by ambulance to the St. John's Health Center in Santa Monica where he died a few hours later at 1:42 a.m. on July 1, 2000. He was 79 years old. His body was buried in Westwood Village Memorial Park Cemetery in Los Angeles. Matthau's wife Carol Marcus died in 2003, and her body was interred in the same grave as her husband. Jack Lemmon along with others of Matthau's friends and relations appeared on Larry King Live in an hour of tribute and remembrance; many of those same people appeared on the show one year later, paying tribute to Lemmon himself who died the following year (and whose body was also buried in Westwood Village Memorial Park). 1954 The Motorola Television Hour Episode: "Atomic Attack"
1958 Alfred Hitchcock Presents Episode: "The Crooked Road"
1959 Alfred Hitchcock Presents Episode: "Dry Run"
1961 Alfred Hitchcock Presents Episode: "Cop for a Day"
1961 Route 66 Episode: "Eleven, the Hard Way"
1965 Profiles in Courage Andrew Johnson Episode: "Andrew Johnson"
^ Edelman, Rob; Audrey E. Kupferberg (2002). Matthau: a life. Lanham, Maryland: Taylor Trade Publishing. p. 4. ISBN 0-87833-274-X. ^ Wright, Stuart J. (2004). An emotional gauntlet: from life in peacetime America to the war in European skies. Terrace Books. p. 179. ISBN 0-299-20520-7. ^ "Walter Matthau profile at". Filmreference.com. Retrieved 2014-02-03. ^ Gussow, Mel (July 2, 2000). "Walter Matthau, 79, Rumpled Star and Comic Icon, Dies". The New York Times. NYTimes.com. Retrieved 2014-02-03. ^ a b "Walter Matthau". Snopes.com. October 19, 2005. Retrieved 2014-02-03. ^ "Famous Alumni". Seward Park High School Alumni Association. Retrieved 2014-02-03. ^ Cofone, Annie (June 8, 2012). "Strolling Back Into the Golden Age of Yiddish Theater". The Local – East Village. Retrieved 2014-02-03. ^ "Walterr Matthau". The Telegraph. July 3, 2000. Retrieved September 21, 2017. ^ a b Obituary, guardian.com; accessed August 20, 2015. ^ "Actor Walter Matthau dies". BBC News. BBC. Retrieved 2014-02-03. Profile, accessed April 8, 2015. Mel Gussow (July 2, 2000). "Walter Matthau, 79, Rumpled Star and Comic Icon, Dies". The New York Times. Retrieved May 11, 2008.